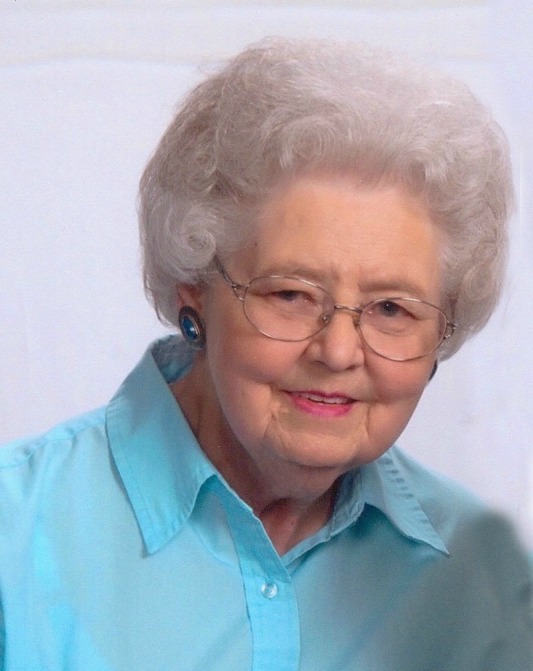 Audrey L. Morrison, age 89, died June 25, 2018. She was a member of the Central Free Will Baptist Church and a long time employee of the Hickman Mills School District. She enjoyed bowling and was on a league for many years. Audrey was preceded in death by her husband of nearly 60 years, Clyde Morrison Sr.; father, Joe Hutchison. Survivors include her children and their spouses: C.E. and Marty Morrison, and David and Kathy Morrison; grandchildren: Duane Chapman, Robert Morrison, Cheryl Cox and Jeffrey Morrison Sr.; and 12 great grandchildren. In lieu of flowers, memorial tributes may be directed to Central Free Will Baptist Church. Visitation will begin at 9am, followed by funeral services at 10:30am on Friday, June 29, 2018, at Central Free Will Baptist Church, 3200 Blue Ridge Ext., Grandview, MO 64030. Burial at Floral Hills East Cemetery. Prayers to a great family in your loss. My thoughts & prayers to you during this time. My mom, sister, aunt, Audrey, and I were all on a team many years ago at Capital Lanes. Oh what fun we had. She was truly a beautiful woman and will be missed by many. May she now be at peace and back with her husband. Prayers to the family. She was really sweet and kind every time we saw her at David and Kathy's. I remember her sitting in the kitchen talking with everyone and always smiling a good memory. She will be missed by so many that she touched their lives in an awesome way. Praying for the family now as she is in peace with our Lord. Mom & Audrey started their friendship many years ago, working together at Ervin Jr High. Mom passed away a month ago, so I'm sure they are swapping school & bowling stories! Prayers to the family of such a sweet lady.